OMD’s dark electronic sounds were right in step with New Order and Depeche Mode, and yet “Electricity” couldn’t find an audience on either side of the pond over three releases. This bleepy-bloopy ultra-catchy song made by computers about something computers like sounds like early Depeche Mode. Or Kraftwerk. Makes sense, as it’s from late ’70s, depressed Europe trying to find some kind of musical direction in the soup of punk, post-punk, New Wave, and synth pop. 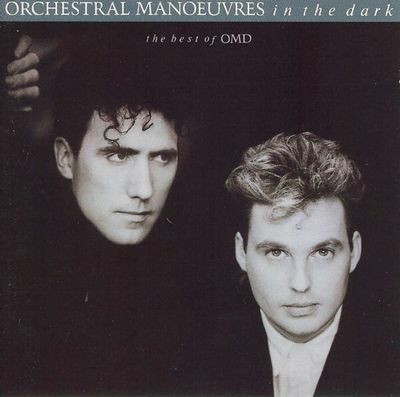 Orchestral Manoeuvres in the Dark’s synth-driven, vaguely creepy debut single, “Electricity” occupies a space right between Joy Division and New Order (which also makes sense, as OMD and JD/NO were all part of that initial run of great Factory Records acts). “Electricity” captured the spirit of its time; the time, however, didn’t care much for “Electricity.” OMD recorded and released this song multiple times in a short period. Before they formed the core of OMD, Andy McCluskey and Paul Humphreys had a group called the Id, for whom they wrote and recorded “Electricity” as a demo in 1978. When OMD was in place by early 1979, they recored the song again and released it as a single to little notice. So they released a slightly different version of “Electricty” that fall. Again, nobody cared. Finally, the song was edited once more and used as a single to promote OMD’s self-titled 1980 debut album. Finally, “Electricity” hit the charts…barely. It made it to #99 on the singles chart in the U.K., where they generally liked spooky synth pop and weird post punk. I mean, this was a country that enthusiastically embraced Killing Joke. No version of “Electricity” succeeded in the U.S., not even on the dance chart. Success would finally come for OMD worldwide in 1985 with their straightforward, but still awesome, pop hit “If You Leave,” from the Pretty in Pink soundtrack. Who’s More Evil: The Doors Or The Eagles?